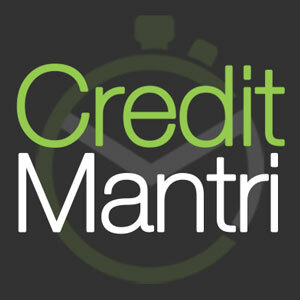 Online credit management service CreditMantri Finserv Pvt Ltd has secured $2.5 million (approximately about Rs 16 crore) in Series A funding from IDG Ventures India, ElevarEquity and AccionVenture Lab. The Chennai-based startup will use the money to broaden and accelerate its platform development efforts, as per a press statement. The company will also deploy the fund to further build out its user base. The startup helps users in understand their credit scores, learn how credit health can be improved, resolve past issues, reduce current borrowing costs and in the process discover products suited matched to their credit profile. "CreditMantri aims to disrupt the way customers apply for loans and hopes to ultimately enable wider credit dispensation," said Punja. Before co-founding CreditMantri, Punja worked with Citibank, where he oversaw the collections function for all international consumer lending businesses of the bank in 53 countries. Sudarshan, who is COO & co-founder of CreditMantri has 20 years of experience with Citibank in banking operations, technology and outsourcing. He was worked as CFO at TCS eServe Ltd before joining CreditMantri. On the other side, Mukherjee is the CMO & co-Founder of CreditMantri with around 17 years of banking experience with Citibank, Standard Chartered and HSBC. The company intends to increase its headcount to 45 from 25 presently. "The extensive adoption of the digital medium by the large numbers of millenials joining the workforce and need for lenders to better understand these consumers makes the CreditMantri proposition a compelling one", said TC Meenakshisundaram â€“ Founder and Managing Director, IDG Ventures India Advisors. CreditMantri claims to have 20,000 registered clients for its service and has tie-ups with eight loan providers. Recently, global venture capital firm IDG Ventures, which invests in India through its separate local team and focuses on early stage tech sector investments, invested an undisclosed amount in Chennai-based local language speech recognition solutions firm Uniphore Software Systems Pvt Ltd.
ElevarEquity is an investment management company which provides equity capital to entrepreneurs and high growth microfinance institutions in India, South East Asia and Latin America. AccionVenture Lab is an investment initiative that provides seed capital to innovative financial inclusion startups. Creditmantri Finserve Pvt. Ltd. Elevar Equity Advisors Pvt. Ltd. IDG Ventures India Advisors Pvt. Ltd.